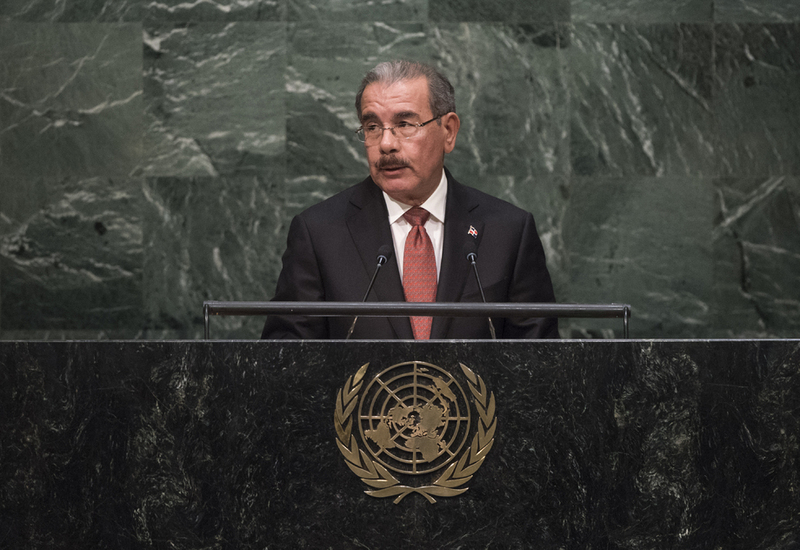 DANILO MEDINA SÁNCHEZ, President of the Dominican Republic, said the United Nations was born from the unstoppable force of hope and strong will of great men and women who believed in dialogue, solidarity and the greatness of humanity. The Organization continued to represent those values that inspired the international community daily. In the past year, the world had experienced difficult challenges, but also witnessed encouraging facts, such as the reopening of embassies between the United States and Cuba. Similarly, amid a renewed commitment to global development, expressed in the post-2015 agenda, industrialized nations had finally stepped forward to fight climate change with firmness and determination. The fight against inequities was the starting point to address most global challenges and remained the main task ahead, especially in Latin America, he said. While 130 million people in the region would have joined the middle class by 2030, Latin America, together with Sub-Saharan Africa, was also the world’s most unequal area. Despite decisive moves to counter it, poverty was still too large and exacerbated by inequality. The region needed both a responsible productive sector that generated wealth in all layers of society and an active and efficient State that redistributed that wealth and created opportunities. There was a need for a new international consensus that allowed space for national Governments to design policies according to their own circumstances, he said. The outcome of the Millennium Development Goals clearly showed what the world was capable of doing through collective effort. Experience had shown the Dominican Republic that a clear agenda and a common path was the only way to accelerate progress. The post-2015 agenda provided the opportunity to focus international efforts on the root cause of its problems, he said, and added that the time had come to work towards equity, solidarity and just distribution of the shared resources the planet offered.